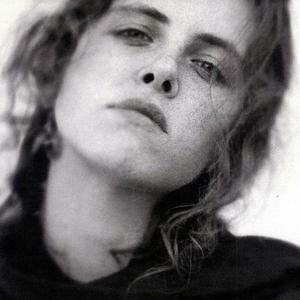 Maria McKee (born Maria Louise McKee, on August 17, 1964 in Los Angeles, California) is an American singer. A solo artist, McKee was a founding member of the cowpunk/country rock band Lone Justice, in 1982, with whom she released two albums. Her band opened for such acts as U2. In 1986, she wrote Feargal Sharkey's UK number one hit 'A Good Heart'. She released her first solo, self-titled album in 1989. A solo artist, McKee was a founding member of the cowpunk/country rock band Lone Justice, in 1982, with whom she released two albums. Her band opened for such acts as U2. In 1986, she wrote Feargal Sharkey's UK number one hit 'A Good Heart'. She released her first solo, self-titled album in 1989. Her song "Show Me Heaven", which appeared on the soundtrack to the film Days of Thunder, was a number one single in the United Kingdom for four weeks in 1990. Later her eerie, country-tinged single, "If Love Is a Red Dress (Hang Me in Rags)" was released on the soundtrack of Pulp Fiction. (1994). Her recorded output has varied between the rootsy country-folk of You Gotta Sin To Get Saved (1993) and Peddlin' Dreams (2005), and experimental rock on Life Is Sweet (1996) and High Dive (2003). She even made a foray into early-90s dance music with her "Sweetest Child" single. Life Is Sweet was seen at the time as an artistic about-face from her country-rock sound, full of guitar feedback and complex, baroque songwriting. Confounding both fans and critics, it was her last release for seven years and her last for a major label. In 2007 she released Late December, an album rooted in classic 60s pop songwriting. She is the half-sister of Love guitarist/singer/songwriter Bryan MacLean, with whom she played in a duo as a teenager. In the nineties, she spent time living in Dublin and the East Village.